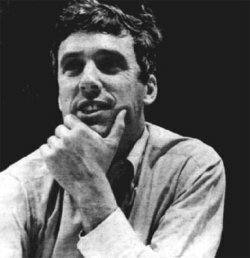 Burt Freeman Bacharach (/ˈb�kər�k/ bak-ə-rak; born May 12, 1928) is an American singer, songwriter, composer, record producer and pianist. A six-time Grammy Award winner and three-time Academy Awardwinner, he is known for his popular hit songs and compositions from the late 1950s through the 1980s, many with lyrics written by Hal David as part of the duo Bacharach and David. Most of their hits were written specifically for and performed by Dionne Warwick, but early on they worked with Gene Pitney and Gene McDaniels. Following the initial success of these collaborations, Bacharach went on to write hits for The Carpenters, Dusty Springfield, Bobbie Gentry, Jackie DeShannon, Tom Jones, Herb Alpert, B.J. Thomas and others. As of 2014, Bacharach has written 73 US and 52 UK top-40 hits.